A clear sky. Low around 55F. Winds S at 10 to 15 mph.. 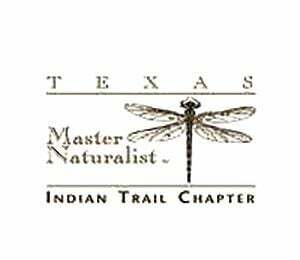 The Indian Trails Chapter of the Texas Master Naturalist program is offering the Linda Moxley Indian Trails Master Naturalist Scholarship in the amount of $1000 to a graduating 2019 senior from Ellis or Navarro counties who plans to attend any college or university to major in the natural sciences such as horticulture, agriculture, environmental science, animal science, forestry, botany, biology and entomology. The Linda “Mox” Moxley Indian Trails Master Naturalist Scholarship serves to assist a graduate of any Ellis and Navarro County High School with college expenses. The student must enroll in an accredited college or university and pursue a degree in the natural sciences. Interested seniors can obtain a copy of the application from their schools or email Master Naturalist Joe Mundo at joe@mundoandassociates.com for a copy. The scholarship is disbursed in four parts: A scholarship in the amount of $250 is initially awarded to the recipient. Upon completion of registration in an accredited college or university, an additional $250 is awarded with an additional $500 awarded for the second semester. • Student must be a 2019 graduate of an Ellis or Navarro County high school or charter school. • Student must be in the top 25-percent of his or her class. • Student must take either the SAT or ACT and a copy of the student’s score must be included with the application. • Two letters of recommendation from teachers, counselors, priests or pastors. 2. Student’s SAT, ACT and other achievement scores. 3. Submission of an essay with the application. 5. Winner will be selected following a personal interview of the finalist. 1. Must not exceed two pages in 12-point Arial font. 2. Must tell about yourself and your background. 3. Must describe your involvement in school, church and community. 4. Explain how the scholarship will further your education. 1. A $250 check will be awarded to the student at graduation or awards ceremony. 2. An additional $250 check will be awarded with documentation of registration for classes. 3. To receive the second semester payment of $500, the student must have passed a minimum of 12 hours the first semester with an overall 2.5 GPA. 4. The student must provide the Indian Trails Master Naturalist scholarship committee with copies of his or her first semester grades and the second semester class schedule. All materials to apply for the scholarship must be mailed to the Denise King Scholarship committee, 515 Highland, Waxahachie, TX 75165, and received by the committee no later than Friday, April 8. The application is also available for download from https://txmn.org/indiantrail/.